Welcome to Art of Brass Vienna! If one had told five brass-enthusiastic Viennese music students at the beginning of the 80s, that with their idea, their ART OF BRASS VIENNA project, they would be performing highly acclaimed concerts at the great classical festivals in the German-speaking countries and in around 20 countries on all continents over the next three decades – they probably just laughed … and played on. But today, 35 years later, this is exactly the legendary history of the Vienna Brass Quintet: in addition to concerts at the Wiener Festwochen, the Carinthian Summer, the Styriarte, the Vienna Konzerthaus and the Innsbruck Summer Games, the ensemble members fascinated audiences and critics alike with their unmistakable, Contrasts supported programs, as well in Japan, Taiwan, USA, Brazil, India, England, Germany, Switzerland, France, Italy, Greece, Sweden, Luxembourg, the Netherlands, Egypt, Hungary and the Czech Republic. And this worldwide and lasting success is due not only to the pure lust for making music, but also to the pioneering spirit and zeal of the early years. Rather, ART OF BRASS VIENNA – both earlier and today – thrilled by its sonic brilliance and its unique versatility. In the framework of the concerts, music from all times is played in tailor-made arrangements: medieval songs change into a Gregorian fan at ART OF BRASS VIENNA, and the music of the past 100 years of avant-garde and jazz blends in harmoniously with literature from the baroque, classical and romantic periods. Own arrangements with works of various composers (JS Bach, GF Handel, C. Monteverdi, M. Pärtorius, J. Strauss father and son, GB Martini, M. Moussorgsky, N. Paganini, G. Gershwin, L. Bernstein, D. Ellington , …) are among the indispensable parts of the repertoire. And in order to do justice to the present home music scene, ART OF BRASS VIENNA refreshes its current program with numerous works by contemporary Austrian composers such as Werner Pirchner, of which there will be some world premieres, compositions by Thomaso Huber, Flip Philipp, and a few pieces of your own pen. 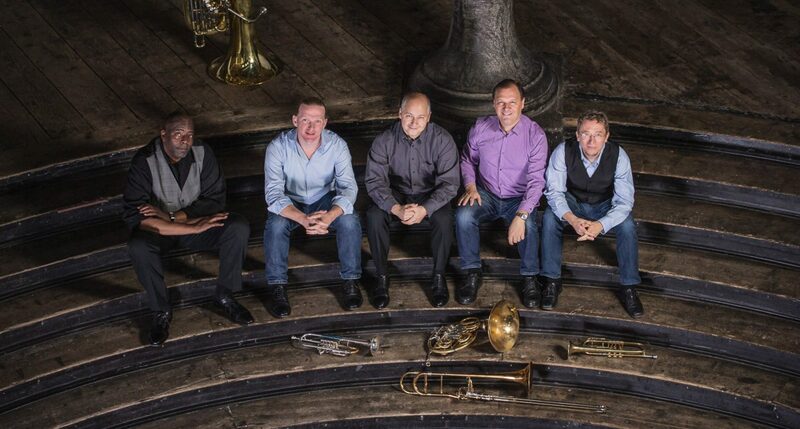 The members of ART OF BRASS carry the “Viennese Elan” – the University of Music and the Performing Arts, as well as the Vienna Conservatory form the musical cradle of the founding members. But Vienna has always been a melting pot of cultures and arts and offered creative people from all directions a fertile ground. ART OF BRASS VIENNA shows that on a small scale. Because of the origin and the manifold interests of newly added members of the ensemble, the spectrum of the repertoire as well as the used instruments have recently been extended by some exciting timbres. The ensemble members teach brass chamber music at masterclasses and in Austria and Germany, as well as in their tours of colleges in Japan. The art of ART OF BRASS VIENNA is documented on eight CDs. In 2007, with their appearance in the break film of the New Year’s Concert, the artists reached a huge audience of over 100 million viewers. Her CD “Wandering with Strauss, Schubert, Brahms” – produced together with the Ensemble “Vienna Horns” – became a bestseller and was ranked among the “top ten” of classical music in Austria for several months.